Thank you Slaggy for the response, might sound picky but the building icons should also be updated to Level 26 to show everyone what they would all look like at that level. This needs a re work again, Level 25 and 26 all need stone columns to upgrade, why hasn’t this been fed through? Misleading information. When will Alchemy Lab tree be ready? How do you upgrade your market place I can’t find it or figure out how to upgrade it help…. Are you working on a chart for graveyard requirements? Your gear workshop chart is awesomely detailed, however it doesn’t include how many power jewels required for each level. Would it be possible for you to include those? Thanks. Hi, Thanks for the feedback. All of these are done now (except for 2. will work on it). Hi..i still dont see power jewels and power essence required. could you plz update it? thanks. 1. Can you repair the Watchtower page? The information isn’t loading. 2. On the boost finder tool and core builder tool, neither recognizes or displays gems for non-combat related boosts. No gems appear when searching for things like research, construction, troop load, of any other non-combat boost. 3. Will the information for the new buildings be added? 4. Will the Gem Tree information be added as well? I didn’t find the column telling me the amount of daggers needed per Altar level, is there not a column for it? Off question for y’all… If you would destroy your embassy, do you still get all the research and boosts that it provides? Yes, the research and boosts stay. HOW TO BUILD A MARKETPLACE? Is there any place on the site where I can find out what the max building boost would be for each structure. I don’t wanna waste orbs if I’m in a good place. Are you wearing the gear with the hero skill tree set for the deposit boost? Ive obtained level 61 and upgraded my skills for Treasury Deposit Boost. I enter all my gold for 24 hours but receive nothing the next day? anyone know what Im doing wrong? Your watchtower table disappeared. Can’t see any of the stats for it. Is there any way I can empty my graveyard. I heard deconstructing the prison might work? How do you set/use the gem preset you’re supposed to get with lvl 23 forge? Once you have completed level 23 forge, you click on the item that you want to gem. Click Embed, You will then have 4 options down the bottom one of them being Gem Presets. Once you have set up your presets you can skip that step and simply press the number preset at the top of the screen. CAN ANYONE EXPLAIN THE DIFFERENCE IN THE COLOR OF THE HERO ICON ABOVE A CITY WHEN THEY ARE HOLDING A CAPTURED HERO. I HAVE SEEN IT BE SOLID WHITE AND SOME TO LOOK SILVER. Watchtower Level 22 needs Barracks and Forge 22 (not Embassy). Troop attack penalty is 30% and scouting cost is tripled. Just wanted to know what are the requirements of master keystones for upgrading the explorer dungeon ? Is there a way to find out how many troops my hospital holds with boosts? I know lvl 21 holds 40k, but then with the research boosts how can I see that number? just click on your hospital and you will see its capacity ! !i if there is a boost or research in defence tree you will see the number of bed increased. embassy defense bonus is covered under all troops ? or just troops in embassy? 40857 days for hall of war lvl 22?????????????????????? Power column numbers are weird. Level 2 gives you more power than level 3? They same happen more below. Your table for Hospital Level 22 does not seem accurate. The required hammers is 1,250 and the power and xp are lower. Thanks for information. What does it mean when my buildings and rss buildings are on fire but I haven’t been attacked and cannot be attacked since I have a shield in place? Ive been told that each barrack upgraded compounds the bonuses… so 5 barracks at 22 give 5 times the bonus… But I cannot find any thing in game to back this up. Is this true? Hi, You get the bonus for each barracks you have (i.e. they are added together). Looks like Building calculator give out wrong result on Prison and Barracks. Do the reinforcements in the embassy affect the 1-1 troop to trap ratio between troops and wall traps? You mention that early in game traps are useful and take half damage with a 1-1 ratio of troops and traps. Do you know if troops in the embassy affect this ratio? Do you have advice on the best building setup. How many of each interior building and each resource building? Not for any special purpose, just to grow and play along. Hi I’ve built a bunch of villas, got a silver boost on , reset my hero etc but the silver production hasn’t increased. Any thoughts? Have you reached your villas / cities silver capacity ? Let’s say your city capacity is 12m silver. If you are holding 13m silver your city stops producing. You need to transfer this RSS to another holding account (bank) and then your city will start producing again. Start a new Facebook account and or change your email / facbook then try again. Hopefuly that might let you have the gold mine. However if you still use the other facbook acount for the other gold mine thats attached to it you will have to log out / in to each one each time. If Ive got T-2 and T4 and take a hit from a rally, which troops will go to the hospital? Can you add a “TOTAL” row at the bottom of the building table (& research if possible) so we can see the total RSS/time/power etc. to complete a particular building (eg, building a hospital from 0-21)? Sure, that shouldn’t be too hard. Can You Do this? add a total at the bottom? its been 6 months since this comment. Still been waiting. At what sh lvl can you buy a 30 day shield? a 30 day shield should be able to be purchased from your items / War store from the moment you start. Will cost you 45K gold. it wont let me heal my troops it says you cannot heal more than injured and i did not. I built a Hall of War so I could ghost rally, but I can’t figure out how to start a rally. Tapping the Hall itself in city view or “Alliance War” in the Alliance section brings up a page that’s empty but for the message “No War Rallies Active”. The only reason I can imagine of is that I know for a fact no one else in my alliance has a Hall of War yet. How does one normally start a rally? 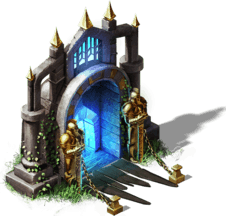 YOu don’t need Hall of War to Ghost Rally……simply pick a point in your Kingdom far away from you, preferably on march line through the Wonder (slows them down) that is a stick fort or rss tile, and “attack” or “occupy” and send Hero with at least 1 troop. Be sure to set a phone reminder/timer and to recall before hitting. I discovered you have to tap the target you want to use for the rally. There’s a Rally button in the interaction box that comes up. I also had to hunt high and low to figure out how to cancel a rally (and I was starting to panic because the timer was almost up): tap More then Marches. Log out of that account from the more, accounts and devices button. The next time you start, it will ask you for the email and password. Just enter the level 21 account info. I was wondering, If I upgrade a hospital to level 21 I get the 5% health boost. Do you get that boost with every hospital you upgrade to 21 or does it only apply once. For example: If I have 6 level 21 hospitals will I get a 30% health boost because of the combined 5% on all 6 or just the one time 5%? Is its only the rally leaders bonuses that apply or will rally participants popping attack boosts help as well? Only the rally leaders boosts apply in the rally. Rally fillers take on the rally leaders bonuses once they are donated to the rally. Good website here. I am a very slow player and i don’t play that often, but once i tried to play and i had to upgrade the game. So i have upgraded the game and i get back on my small amount of power (70 k) has now depleted to 0 and i don’t have my user that i did have. I have created a new account and i live in the Kingdom Of Leneth and my username is GeneticTones. Anyone help? My buildings have stopped producing resources. What’s the deal? More than likely you have reached the capacity your current level. If you click on your stronghold you will be able to find out. Hi, I’m at level 21 in al!ost everything but the game won’t let me build an altar. Am I missing something? Is your prison at least level 15? If I’m only going to SH 19, when can I take out storehouse? Whenever you feel that you dont want the RSS protection it provides. You need the storehouse to upgrade SH, not just for rss protection. If you are sticking at 19, you can torch it. If you want to go to 20, you will need it. How many of each type of buildings is best option and do you need to upgrade all buildings and to what level would be best option. For example if you build 1 farm to required level, what level should all the others be be maintain best resources production. Please we really need the building events. Wish MZ brings it up. Last time I saw it was 4 months ago. What are the rates of interest for the treasury? The reinforcements sent to me by my alliance members in a battle, are covered by my own hospitals or by the hospitals or the owner of the reinforcements. In case of multiple injuries, how is it counted, between my own trops and reinforcements, which ones go to hospital and which ones are death? Only your troops go to hospital, any reinforcements will die if the attacking troops reach them. Your weakest troops will fill up your hospitals first. I’m SH 18, dont want , need Academy anymore, what will happen if I destroy it? You wont be able to research anything more than what you already have. once your prison is lvl 21, do the bonuses for captured heroes stack with each hero you hold or do you just get the bonus for the highest lvl hero held? everything is level 21, how many hospitals, villas and barracks should I have? Slaggy, I am not a big player and in my alliance I will most likely never lead a rally, but I do join others’ rallies in battle. Can I destroy my HoW to create another spot for a hospital or academy or will this prevent me from joining rallies or another need that would restrict me? You won’t be able to ghost rally or join rallies. how can I get my academy to level 21 without getting prison and altar to level first??? You can’t. You must level prison, altar, and Hall of War to 21 before academy. If I build a gymnos (and level up to 21) between the time my hero gets captured and executed, will I receive the benefits for when I use hero resurrect? I want to stay level 5 or under so I can travel kingdom to kingdom with beginner telports. 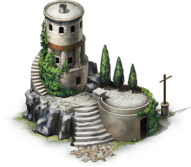 want to know if I can do strategic troops and research with out stronghold gaining levels? I know power will go up. No. Also, you won’t get more than 2 beginner’s teleports. Embassy – when holding troop within your own embassy, do you maintain the original owners stats on the troop or do the troop obtain your own stats? The donated troops will take on your heroes skills and boosts. I’m confused. I build all mine to produce more or but I want to do my troops upkeep. My t4 eat lots of food. Better for me to leave my Mines or should I deconstruct it and replace it with farms? 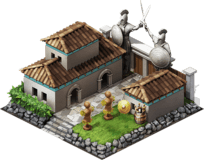 Mistico…do not worry about upkeep for troops!…it will become impossible to maintain upkeep when you have alot of troops. Only use food when necessary for a specific action, otherwise leave food level at a blinking red zero!…and yes , your troops will still function normally in all aspects!….otherwise they will just continuously eat aspects your food. Thanks. So that means I don’t need to deconstruct my mines or ore. I leave it that way. I can’t even figure out how to build a mine… Can anyone explain? The gold mine allows you to send your Facebook friends 10 gold every 24 hours, in return you will receive 10 gold every 24 hours from each of them as long as they click on the icon to send you the gold. You have to be actively online to collect it, and it will expire after a 24 hour period. At Gold mine level 21 you receive a boost of receiving 12 per person from a max of 25 people totaling 300 gold per day! Create a farm/alternate account, raise up SH level, put on silver hero gear, next thing you know, you’re producing 13m silver p/day. Yup. Once you get the farm up to SH21, you can easily make 1-1.5 mil silver per hour. A lot of people will have multiple farms and one central account to bank the resources to throughout the day. Great way to make some gold but you have to make sure to keep the accounts shielded. T4 reg wall traps, they have no weaknesses! I’ve had that same problem with mine. It wouldn’t let me add my GOW friends, just facebook friends I had previous to building the mine. Tried customer service. They were unhelpful. Suggested I may have too many facebook friends for it to work appropriately. Lame. how do i get to build an embassy? If you deconstruct the hall of war, can you still see if you’re being rallied? Also, can I still join other rallies? I know that I won’t be able to lead them myself but not sure about those other two points. Hi, yes to both of us. Hall of war is just for starting your own rallies. Hi, yes currently the only way is to buy them (although you get a discount for buying in bulk). So if my kingdom is one where anybody below 2 billion has to shield and I’m 135m, I can knock down my altar without really any detrimental effects since I can’t hold onto a hero for long enough to kill it without being hit, right? Same with gymnos as long as you are ok losing 1j0 monster skill points? The additional hero skill points stay, right? As will my hero as long as I resurrect it within 7 days? Correct. Gymnos is typically the first thing that gets knocked down once you reach lvl 50 hero. Just make sure to resurrect your hero within the 7 days and you’re good. In regards to the monster skill points, you don’t actually lose them. Once you knock down the Gymnos, it will show up as “-10”. So, set them however you want before knocking down the Gymnos. After knocking it down, the skill points will all still be there but if you try to do a monster skill reset, you will be given 10 fewer skill points. So pretty much as long as you don’t try to reset your monster skills, you don’t actually lose those monster skill points. The regular hero skill points don’t have this restriction and you can knock it down and reset those skill points all you want. If I have 4 level 5 barracks, is my troop defense bonus from barracks 4% or 1%? Thanks som much, This is he best site!!!!!!!!!! For academy lvl 21 it requires a number of buildings to be built to lvl 21. Does anyone know if you can construct them and then deconstruct and it leaves the requirement filled or do you need to have all the buildings on the list at the same time? Hi, to start the construction of the Academy they have to be in place. After construction of the Academy has started you can de-construct the other buildings if you wish. set up a gold mine but can’t add facebook friends? how do you do this? Loved the tip about not losing the extra skill points when you deconstruct the gymnos… Has it been tested as if you maintain the 3rd acc slot when you deconstruct the forge? 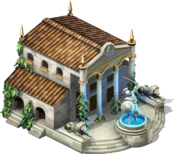 Would like another space for a villa on my silver farm but don’t want to lose the boost I have from the extra slot. I tested the forge you lose the 3rd slot..
Hi, wondering if any one knows the cap on the boost the barracks is i.e. is there a number % when the barracks stop giving boosts? Hi, do you mean the defense boost they provide? 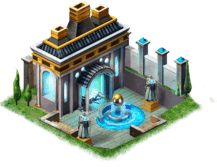 Each barracks you have provides additional defense boost. 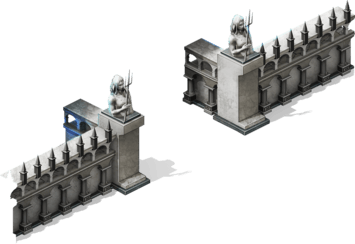 Adding more barracks adds additional boosts. What are the cons of destroying my hall of war.? Can I still join rallies? Hi, yes it just means you can’t start rallies (which also means you can’t ghost rally to protect your hero). Anyone know when will be buildings points in inferno event? Hope someone can answer this question. My storehouse is lvl 13. It says it should protect 700,000 across the board on resources but if I get hit it goes below. I thought it protected at least 700,000 of each but that isnt happening. I get wiped out sometimes. I cant figure out if I am confused as to how the store house works or if something is wrong… and can i fix if that is the case? Very strange, I’ve not heard of this before. I’d contact MZ about this. I think if they get a ‘glorious victory’ which requires the capture of your hero then they get whatever was in your storehouse, not 100% sure though. im still new at the game n want to make sure i have the correct amount of buidlings and rss- I have 5 hosp- 5 barracks, 5 villas, prision, war hall, 1 academy, 1 forge, 1 embassy 1 storehouse 1 gymno, 1 watchtower- 10 farms, 5 ea lodging camp- mine, and the other thing i cant remmember the name – lol.. also- when i attack, I cant seem to kill other troops- only wound them but mine die- ive got tons of research in- what am i doing wrong? thank you! If you are attacked in your own city your troops go to the hospital, but when your hospitals are all full your excess troops die. When your troops are outside your city they do not go to the hospital, they die instead. This can happen when you attack and also if you have a battle on a tile. If you have troops gathering resources and they are attacked, some or all of them will die. How many troops die depends on the strength and configuration of the enemy forces. Slaggy, great site. I’ve been on here a bunch of times, but this is my first post. Is gymnos necessary to keep once hero reaches level 50. I have heard conflicting information in regards to hero resurrection and the retention of xp and hero/monster points. Some folks say that as long as you have your monster tree points as you want them then there is no reason for gymnos. Would like to hear it from someone as educated as yourself in GoW before I torch it. The second most important function of the Gymnos is to retain hero XP when your hero is executed. If you destroy your Gymnos and then lose your hero you could lose your hero XP assuming you are above SH14. Couldn’t you use Hero Resurrection and retain everything? Yes, Neo. That’s exactly what happens. You would only lose your XP if you did not resurrect within the 7 day period after execution and had to hire another hero. “The % Hero XP retained only relates to the situation where you are hiring a new hero, ie you have not resurrected your hero before 7 days after execution. If you resurrect within that 7 day period, you retain all hero XP points. So if you think you can always get to a ressurect within 7 days, and don’t mind losing the 10 monster skill points, do it seems to be his recommendation. I have personally done this also. Great tip! At SH 15, when should build alter? Don’t want to loose another building unless need to. 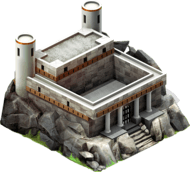 It should be the last building you ever build – don’t build until you are SH21 and you have decided to go for T4 troops. I need to produce more wood and I have multiple farms. Should I deconstruct some farms and build more logging camps? What is the downside to deconstructing buildings? Thanks. Hi, there is no real disadvantage apart the lost time and resources spent constructing the building. You could consider farming tiles for the wood you need. Or joining an alliance with a resource bank that can help you out with the wood you need. Hi, No, there are no negative consequences to having 0 food. Nearly all large players have 0 food. Sh20 is 38 days 12 hrs 38 min 19 sec without boosts. for building power does that compound i.e. lvl 1 hospital is worth 10 power and then upgrading it to lvl 2 adds 20 power for a total of 30 power, or does the lvl 2 hospital have just 20 power total? The first one. The power number stated is added on to your total power. It seems I have lost troop training speed. Is this from leveling up the barracks to lvl 21? Hi, upgrading your barracks increases the number of troops you can train at once. This may make it appear like your training speed has gone down as the time to train a full queue goes up. Do not worry though, the only way to reduce training speed are changing your hero skills, de-constructing villas and changing hero gear. At higher levels it seems that hospitals can no longer cover your troop totals. Right now I have 7 Barracks, 7 Hospitals, 1 Villa. My hospitals, if all are level 21 will cap out at 280k troops. I already have 800k troops. So at high levels is it smarter to just have 1 hospital and then max out more villas and barracks? Hi, At your level hospitals are very important. It is not about protecting all your troops, but about protecting enough troops to cover one (or multiple) attacks. Is my building number ok or should I have less of the barracks or hospitals and more villas? 26 spots, 11 for specialty buildings so 15 to work with. Not sure how the high power players build their barracks, villas, hospitals. never mind lol just read the above post. Is there any other possible way of increasing troop training capacity other than upgrading the barracks? Yes – there is research you can do in the Restorative tree under Troop Training Capacity. It doesn’t offer much reward until levels 9 and 10 though. Maybe check that you have sufficient resources to build it? I’m having the same issue. I have more then plenty of materials, but the build button is still gray and won’t let me build. Any suggestions? If you’ve done the research you may be at max for your traps..If you are, you must deconstruct some traps to build the others. what should your main account, building numbers look like? 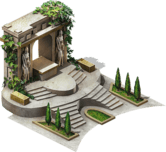 How many Barracks, Villas, Hospitals and so on…..
Hi, will do a guide on this at some point but depends on your Stronghold level. Before SH21 you need enough barracks queue to train whilst you sleep. At SH21 you want three lvl 21 barracks to enable you to use 3 day speeds to speed train. You want enough hospital space to cover all our troops (until you get to around 200k troops, at this point it gets harder). The rest as villas. I’m new and tired of being constantly attacked by bigger players. What’s a great defensive strategy to use as I work towards higher levels? Currently 7m power, SH lvl 18. T3 troops and traps. Hi, There is no good way of defending against them. The only real solution is to ghost rally your hero and troops, send your resource to an alliance bank and only build low level traps. Unless you shield 24-7 there is no way of defending yourself so all you can do is make sure they don’t get anything when they do attack! 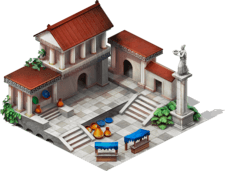 (You can also send your troops to a friendly city by reinforcing it). Thanks Metal. What level traps/troops should i max out and leave in the fort. I can ghost rally the better troops with the hero…. First, this is the best website about GOW out there. Hands down. No contest. Question: Can you take gems or gear from captured hero? I’ve tried and can’t… no surprise, however, I wondered if this was something that became possible at higher hero levels, as other things are. Thoughts? A simple “no”? Thank you! Unfortunately it is a simple “no”. This is not possible (but would be fun!). I think we’d see a lot more shielding! When can we expect to see alliance city? does having multiple Villas at level 18 provide an additional troop training speed or does it still remain at 18%, but just gives out more silver? 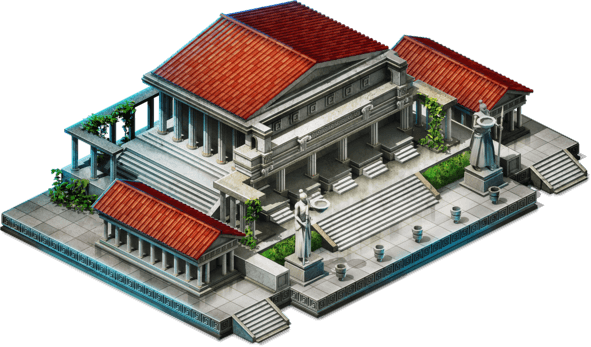 Hi, each villa provides 1% training speed boost per level. 5 x level 21 villas would provide a 105% boost. Hope that helps.